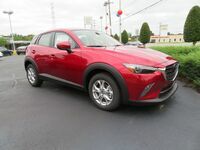 The 2017 Mazda CX-3 in Memphis, TN is a sporty and fun-natured compact crossover. This model is all set to take you on your next road trip, make a trip to the grocery store, transport gear, or get you to work safely on your morning commute. The Mazda CX-3 is built with a decided styling that is both functional and eye-catching. The design is meticulously engineered with nothing out of place. Both roomy in the interior, but able to fit in smaller parking spaces, the Mazda CX-3 is a smart choice for your next vehicle. Mazda models are designed to prioritize performance. All vehicles in the Mazda segment, including the Mazda CX-3, are engineered specifically for those who value the drive. 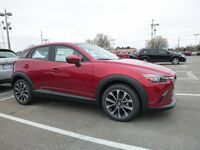 Built to be both efficient and powerful, the Mazda CX-3 is fun to drive and a smart option for those who want to save at the pump. It has a variety of amenities and features to help you get through your daily tasks. It seats up to five passengers and has a comfortable and surprisingly spacious interior cabin. The 2017 Mazda CX-3 in Memphis, TN has even more to offer drivers than what you see here. 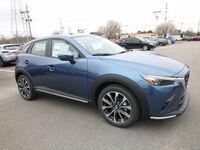 For those who would like to know more about all this model has to offer, you can contact us at Gwatney Mazda of Germantown. We'll detail all the CX-3's qualifications in full and let you take a model for a test drive. You can view this model in our online inventory today.